It’s so easy to get caught up in the many delicious treats that surround us, but don’t forget that fruits can make the best desserts! Instead of going for ice cream, why not whip up a quick batch of this mango lime sorbet? 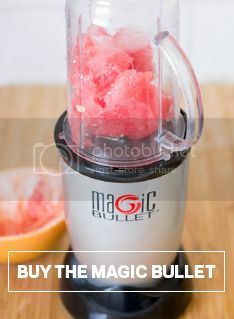 Simply add frozen mango chunks, fresh-squeezed lime juice, plain Greek yogurt and a pinch of sugar to your Magic Bullet blender, and you have a healthy, refreshing dessert in almost no time! This mango lime sorbet is low-fat and gluten-free. Serve immediately, or store in a freezer safe container for later.